My first blog entry. Although this choice might seem mundane (compared to the materials that will follow), this picture was one of the first photos I pulled from the newly discovered box. While writing and compiling materials for my thesis, there was a huge gap between my grandfather’s childhood in Germany and the few years leading up to the German invasion of Holland. This photo stuck out because it was one of the few family photographs I had ever seen of Gerd (my grandfather), Hans Jürgen, Henriette, and Oscar. My knowledge of their family life comes from a few sentences across three taped interviews. I knew that Oscar was stern, Henriette was caring and anxious, and Hans Jürgen was athletic and popular. That was it. These new photographs, along with more than 1000 letters between Oscar, Henriette, Hans Jürgen, and Gerd spanning nearly 20 years will help me reconstruct a more accurate and insightful picture of their family life. Particularly interesting will be the letters between Oscar and Henriette before they were married. 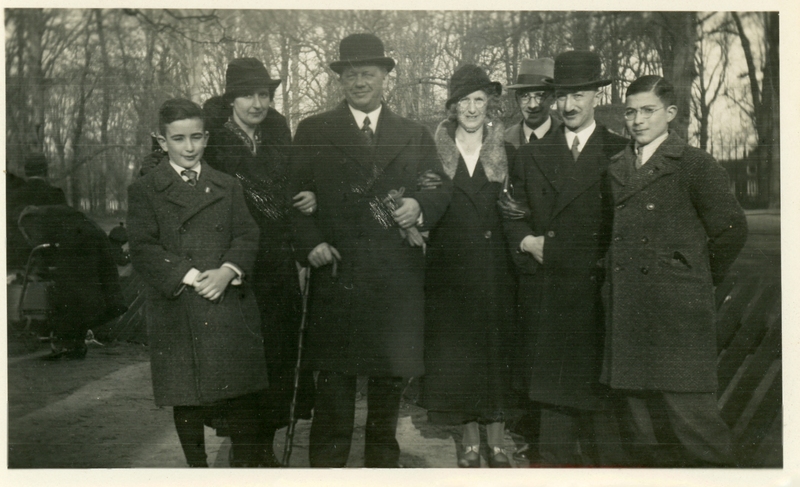 From Left to Right: Gerd, Henriette, two friends or relatives I have yet to identify, Oscar, and Hans Jürgen.